SAVE ON ONE OF THE BEST! 3000 WATSS OF POWER WITH 30 AMP CIRCUIT! GET THIS NEW HONDA EU 3000 IS1A GENERATOR NOW FOR $ 2,049.00 AT DAVIS MOTORSPORTS. MSRP on this generator Model # EU3000IS1A is $ 2,329.95, you save over $ 280.00!!! 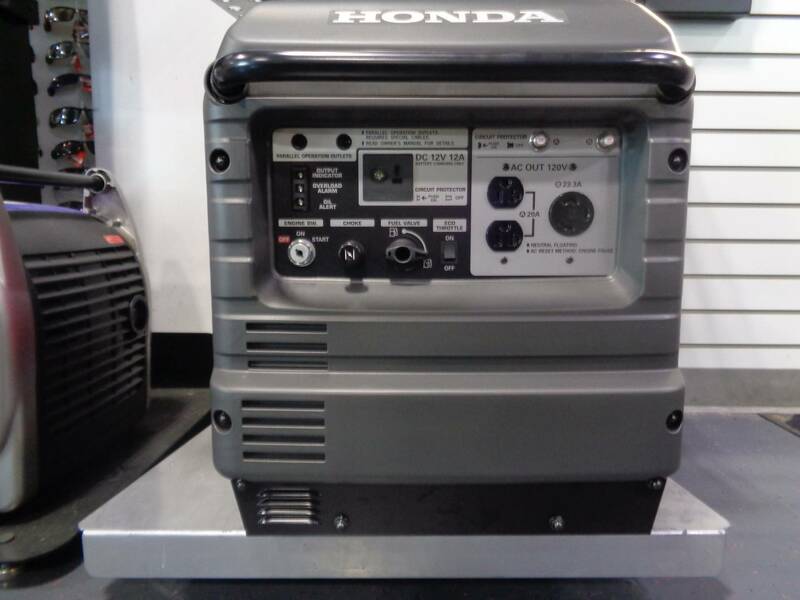 The Honda EU 3000 is an excellent source of power for RVs, including 13,500 BTU AC units, and basic home backup power. This popular model can operate a wide variety of appliances, including a furnace, fridge, microwave, most 13,500 BTU RV AC units, and much more. Honda's inverter technology means stable, clean power in a smaller, lighter package. The precision of Honda's inverter technology ensures our inverter generators produce power that is as reliable as the power you get from your outlets at home. Easy to operate with electric start! (recoil back up as well). The EU 3000 is Super quiet! So quiet, your neighbors will thank you. The EU3000iS operates at 50 to 57 dB(A), which is less noise than a normal conversation. This makes it ideal for camping, RV power and any other activity that requires quiet operation. The EU 3000 is very fuel efficient, it runs up to 20 hours on 3.4 gal of fuel. Thanks to our exclusive Eco Throttle System, the EU3000iS offers great fuel efficiency. Runs from 7.2 to 20 hours on a single tank, depending on the load. This makes it great for overnight power. The Honda EU 3000 comes with Honda's 3 year residential and commercial warranty. You can rest easy, knowing your generator is covered from top to bottom for 3 full years. 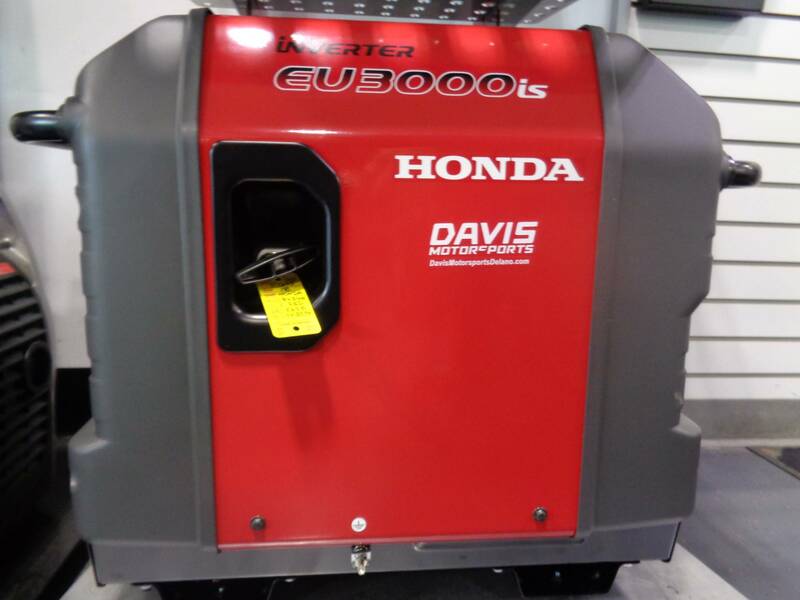 Get your Honda generator at Davis Motorsports in Delano.